There’s nothing like a new year to take stock of your life and your home and set new goals. While many make resolutions meant to improve their personal lives, one area that is often overlooked is your home. While it’s important to spend more time with your family or save more money, many resolutions can actually be achieved by making some simple renovations to your house. By starting in the home, you and your family can work towards your other goals by making a few simple changes. Plus, you won’t believe the difference a few home renovations can make in your life. Coming home can be fun and exciting knowing that you’ve got a fresh and modern look to your house. As we head into 2018, consider these 5 easy renovations to your home. An easy and oft repeated piece of advice, reducing the amount of energy used in your home can go a long way in saving you money. The changes are easy to make, too, and don’t always require a trip to the hardware store. Turn off the lights when you leave a room, avoid leaving the refrigerator door open when you’re hungry, and try wearing a sweater instead of turning on the heat. Additionally, you can replace old light bulbs with new, low-energy consuming LED bulbs and even buy smart thermostats which automatically turn the heat off when you leave the house. Reducing the amount of energy you use doesn’t just help the environment, it can greatly reduce your monthly bills and save you big money year over year. You never realize how much clutter you’ve accumulated until it’s hard to find what you’re looking for or your cabinets and drawers are suddenly difficult to open. As you look back on 2017 and plan for 2018, take the opportunity to get rid of any clutter. Here’s an easy rule of thumb to follow when considering what to keep and what to recycle, donate, etc. : If you haven’t needed the item (or even thought about the item) over the past year, it’s likely you won’t need it in the coming year. Finally, be sure to organize those items which you’ll keep in your house. Look into buying shelving units, racks, or other simple containers to hold your important stuff. Is there a room in your house that just seems dark and drab? A simple light fixture can make all the difference and make an old room seem brand new again. Many houses don’t feature enough natural lighting, leaving dark corners which can make your house feel not just tired, but dirty as well. A few pieces of accent lighting can add a touch of drama and character to a room, or you can install a dimmer switch to old and existing lights to set the mood of the room. A bathroom should feel like a clean and private place for you and your family to take care of themselves. It’s hard to create this atmosphere with outdated plumbing, leaky faucets, or a failing shower head. Homeowners can choose to spend a lot or a little when renovating their bathrooms. If you’re washroom is in need of serious attention, consider a complete remodel, including brand new plumbing, pipes, and decor. For simple spruce ups, splurge on a high-quality shower head, pick a new shower curtain, and add a touch of paint to your room. Let’s face it, popcorn ceilings (and the wood paneling which often accompanies them) are outdated and will likely never be in style again. Even worse, this texture easily grabs on to dust, turning your ceiling into a brown and gray mess. Take time this year to finally say no to popcorn and get rid of any paneling that may be in your house. Perhaps the most effective way to spruce up your home is to add a new coat of paint to your bedroom and living areas. After all, a fresh paint job can give your living spaces a new life and personality, transforming your house into a brand new home. As you consider the changes you want to make in your life for the next year, consider calling Superior Painting and Remodeling to spruce up your home. Each member of our team has over 15 years of experience in painting and remodeling, including popcorn and wallpaper removal. 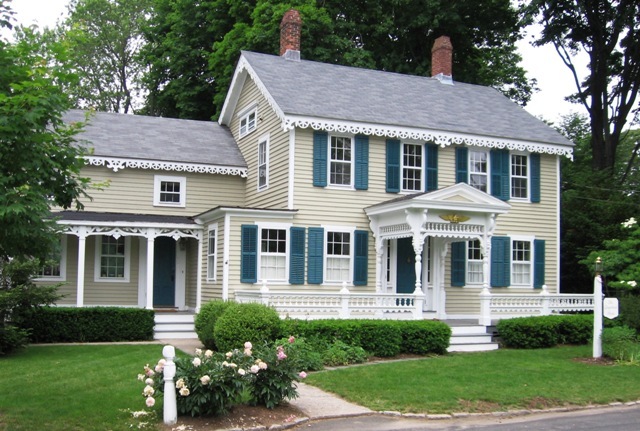 Discover why so many of your neighbors have already used Superior Painting. Call us today at (210) 449-0193!